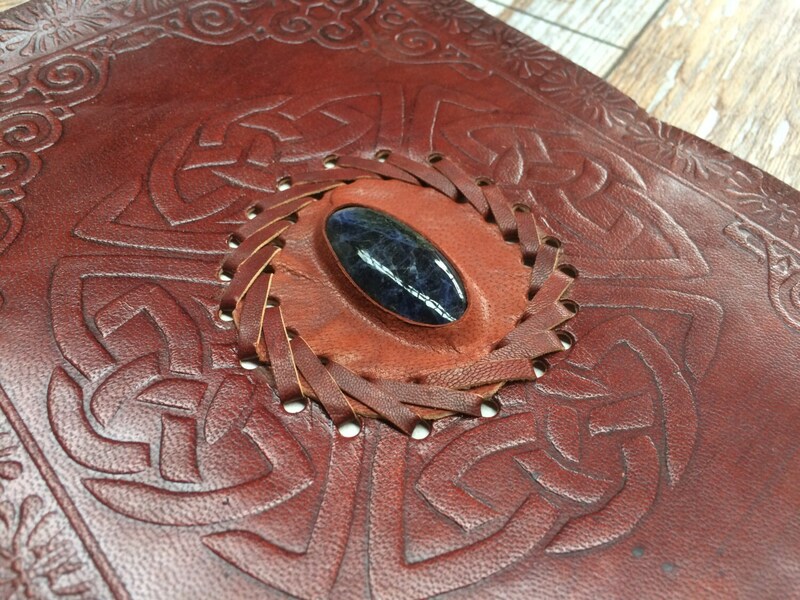 These absolutely incredible leather journals are larger and stronger than our other variations! The paper in these journals is thicker making them better for ink absorption ensuring they are perfect for any artists or creatives! Due to their thicker natures they make the perfect scrapbooks as their pages can withhold the glue, and their larger size make them excellent sketch books. 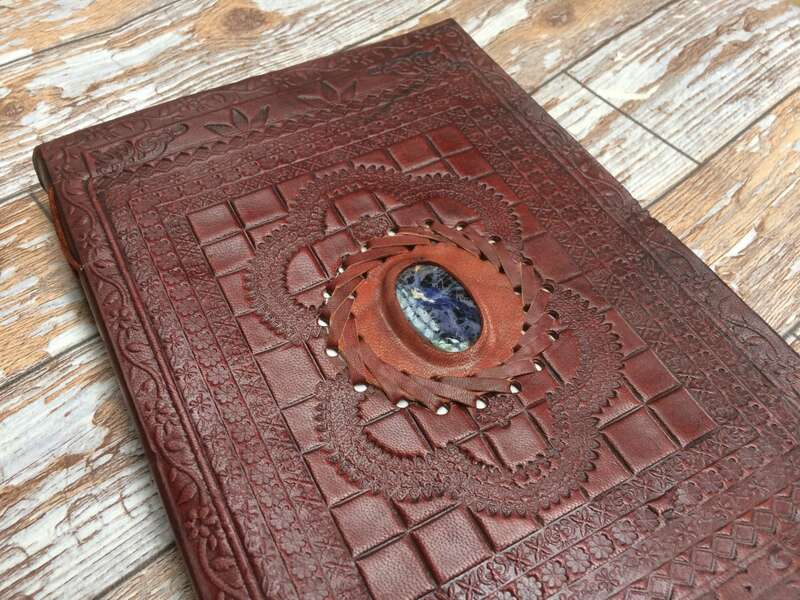 Wether you're an artist, musician or student, or wether you're just looking for that perfect travel journal, look no further than our incredible one of a kind leather notebooks. 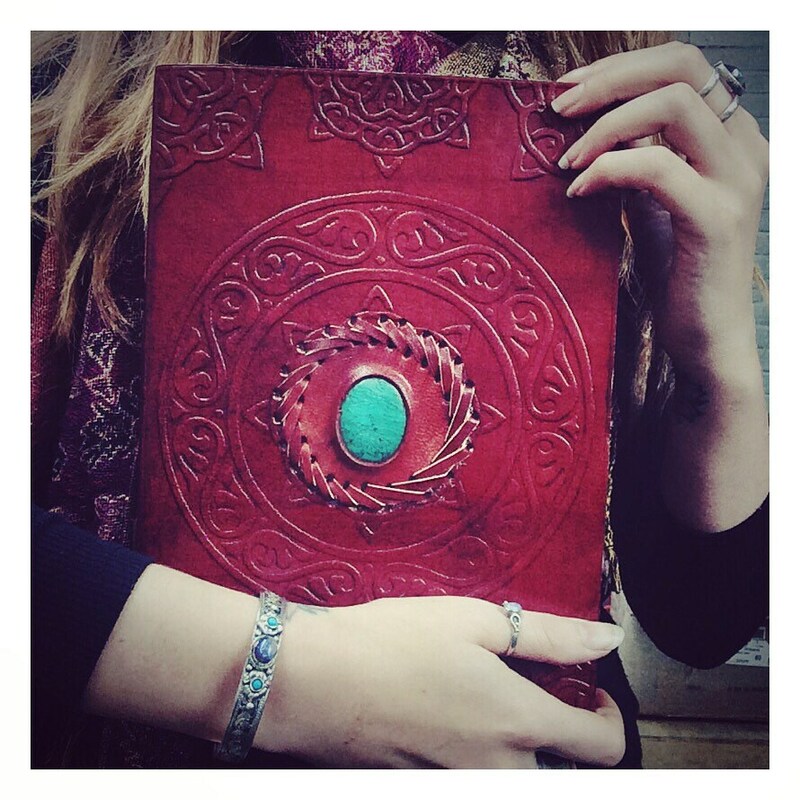 These leather journals measure 7in x 10in and are made with beautiful handmade Nepalese papers and vintage leathers, stand out with these rich crystal encrusted, mahogany notebooks. 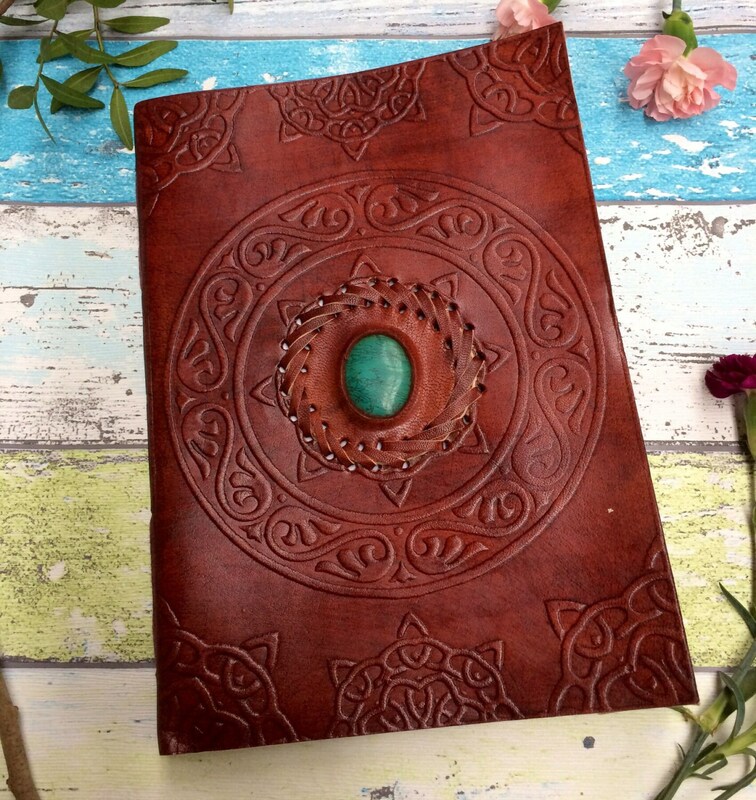 *Please note all of our journals are handmade and therefore design will vary from original photographs. *Crystal colours will be chosen at random unless specific colours are requested and available. Beautifully made and shipped quickly!